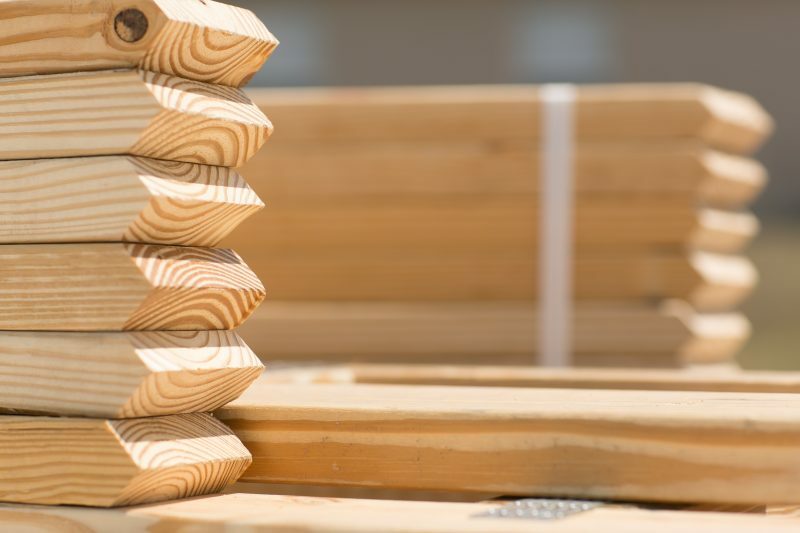 Want to build a house, but don’t know where to start? 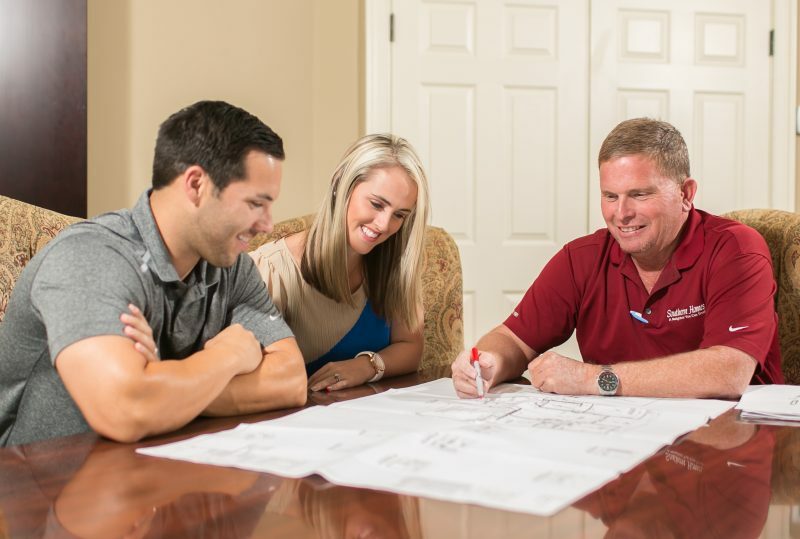 Southern Homes’ simplified building process makes things easy to start building your dream home. Our new home specialists and personal builders will be there with you every step of the way. During this time, you can reserve your home site for FREE for 3 days. The lender will help determine your budget & a comfortable monthly payment. Once you’ve received your pre-qualification, you’re ready to sign your purchase agreement. Your purchase agreement will include your floor plan and the options and color selections you have chosen for your home. Next, you will work with your lender to obtain a loan approval. Once approved, your home will be turned over to the construction team to begin planning and permitting. 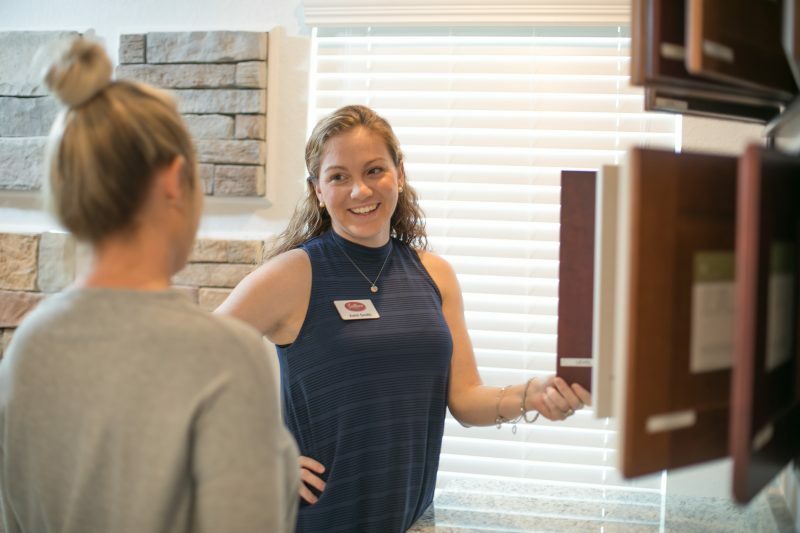 You will meet with your personal builder before construction begins to discuss features, set TV and phone outlet locations, and sign the blueprints for your new home. Typically, it takes 3-5 months from the time your contract is signed to the start of construction on your home, unless your purchase agreement is contingent on a down payment plan, credit repair or selling your current home. The estimated time of construction from the date of footer inspection to your new Home Orientation is approximately 3-5 months. The time you’ve been waiting for! 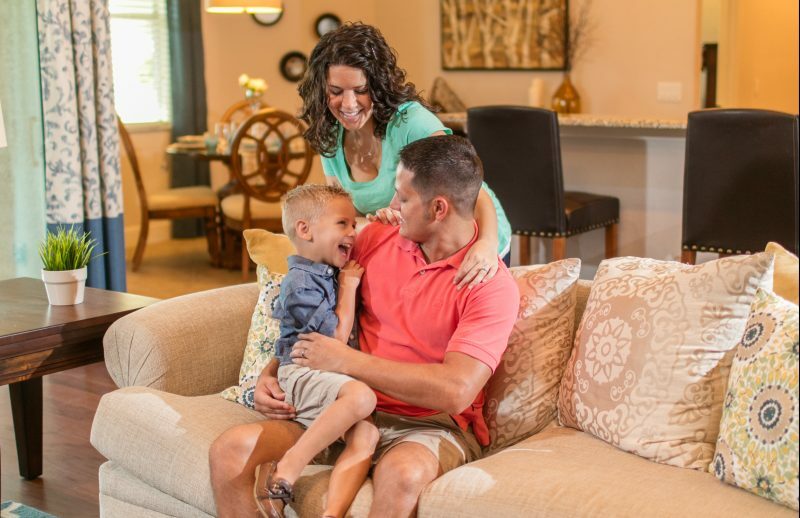 Your personal builder will schedule a new home orientation with you. Once construction has finalized the home, a closing date will be set. After your new home orientation, it may take between 4 and 14 days to close on your home. Step 6: Welcome To Your New Southern Home! The keys are yours! Congratulations on your new home! 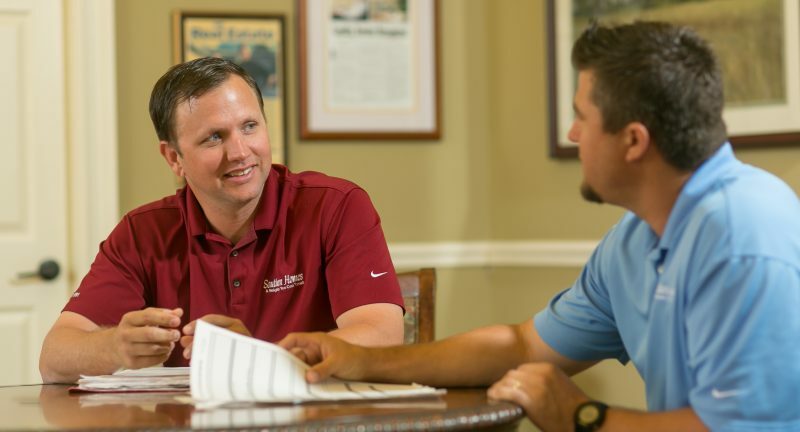 After closing, we’ll still be there to support you with a 10-year structural home warranty, a two-year systems warranty, and a one-year workmanship warranty.